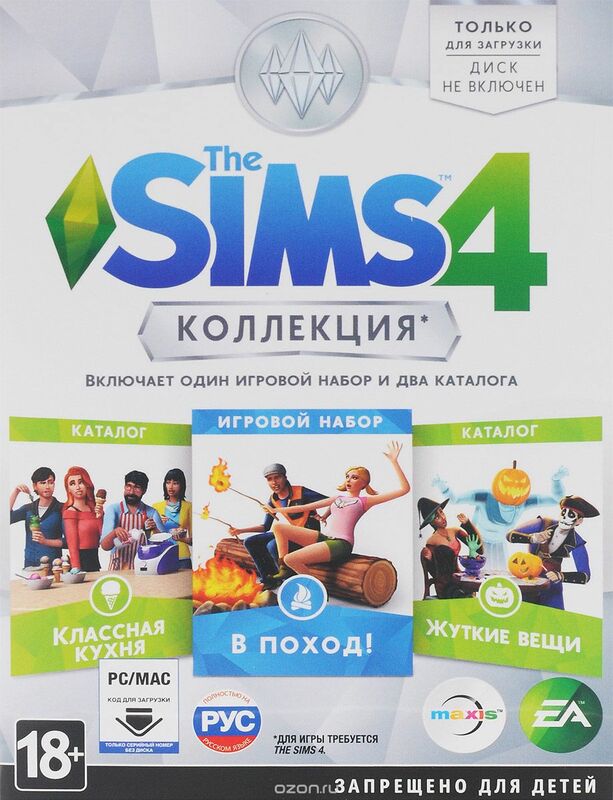 - A catalog of "Cool Kitchen"
- A catalog of "terrible things"
- Play the set of "The March"
Give visitors delighted by a completely new ice cream and decorate the kitchen with new items from "The Sims ™ 4 Cool Kitchen - Product"! Cut pumpkin head, creepy decorate their party and bring guests in horror with the catalog "The Sims ™ 4 Terrible things." Send the characters in the campaign and explore new areas Granite Falls in the set "The Sims 4 The hike!" ● Log on to origin.com/ru/account with your username and password. ● Click on the "Activate a product code." ● Enter the code in the "Product Code" and click "Next." ● Look at the description in the "Confirm Product" and click "Next." ● Start the Origin client and log in. ● Press the "Origin" and select "Activate a product code ..."
● Click on "Games" and select "Activate a product code ..."
After that game, or the content will be downloaded to your library "My Games"
Virtual cards Visa Virtual Wide range of maps.